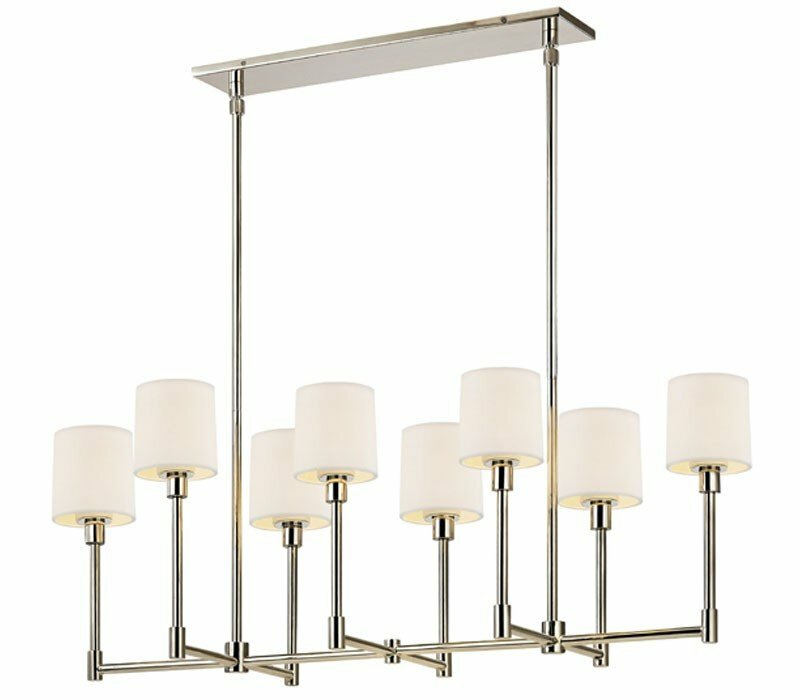 The Sonneman 2474.35 Embassy collection Chandelier Lighting in Polished Nickel uses LED light output and brings Modern style. 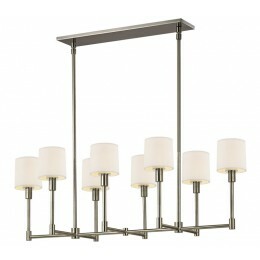 This item is 12.25"H x 17"W x 38.25"L. The wattage is 288. 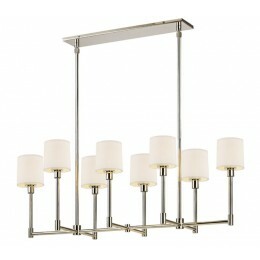 The Sonneman 2474.35 requires 8 bulbs (included). Additional Information: Shade-Off-White Linen Shade.